A mature facial is designed to meet the special needs of aging skin. Genetics and sun exposure cause the epidermis to function less efficiently, resulting in fine lines, wrinkles and dry skin. You cannot stop the aging process, but with the correct routine and the right products, you can slow the process down. As your skin ages, the epidermis is less efficient in producing new cells. Removal of waste is also slowed, resulting in dry, dull looking skin. Exfoliation helps restore your skin's youthful appearance by sloughing away dead skin cells, revealing fresh, revitalized skin in their place. Many mature facial products are available today that meet the special needs of aging skin. Here is a list of a few cosmetic companies and the products they offer that meet the requirements of a mature facial. Mary Kay's TimeWise line is fantastic for your mature facial. Try the antiaging Miracle Set. The 3-in-1 Cleanser will cleanse, exfoliate and freshen in one easy step. Next comes a light Age-Fighting moisturizer and an SPF 25 Day Solution to give your skin the ultimate in UV protection. For nighttime moisturizing, TimeWise Night Solution will nourish your skin with vitamins and antioxidants to revitalize your skin while you sleep. The Moisture Rich Mask will remove dead skin cells to reveal younger looking skin. Elizabeth Arden skin care has a variety of products for your mature facial. Begin by cleansing and exfoliating with Intervene 3-in-1. Next try Ceramide Plump Perfect Firming Facial Mask. Moisturize with Ceramide Plump Perfect Moisture Cream SPF 30 during the day and Ceramide Moisture Perfect Night Cream at night. With minimal effort you can face each day with more youthful looking skin. 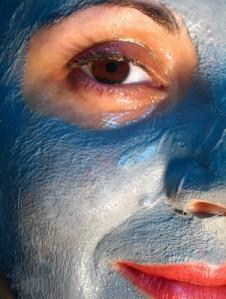 A mature facial regimen will delay your skin's aging process and allow your inner beauty to shine through.